Project Mu Brake Calipers - Forged Kit - Dezod Motorsports Inc - Home of the automotive performance enthusiast since 2002. 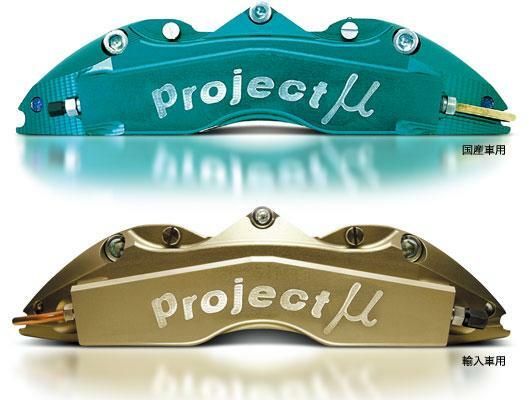 Project Mu Forged Racing Calipers are designed to provide maximum braking performance. By using original machining techniques, Project Mu can offer reliable strength and advanced braking performance. Project Mu forging technique is designed to manufacture reliable strength and cut down costs by forging soft aluminum. However, machining technique uses more harder aluminum (billet) than aluminum use in forging technique. In fact, machined body calipers are used in the racing scene. Project Mu offers a superior racing caliper at an affordable price with their Forged Sport Caliper.